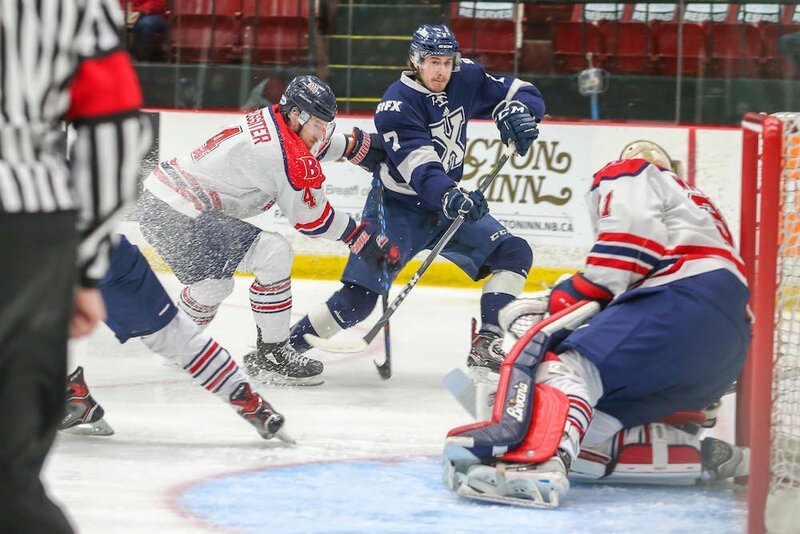 Holden Cook and Michael Clarke had three points each and Craig Dunnick, Kristoff Kontos and Cole MacDonald each had two, as the StFX X-Men defeated the Brock Badgers 6-2 in the first quarter-final of the 2018 U SPORTS Cavendish Farms University Cup. 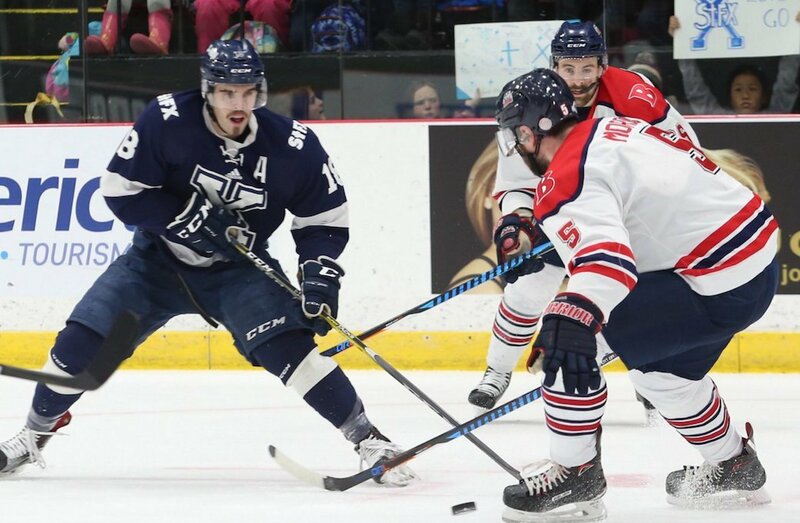 “You’re only going to go as far as your veterans are going to take you,” said StFX head coach Brad Peddle. Cook opened the scoring just 44 seconds into the first period. Kontos added another at 7:13 to put the X-Men up 2-0. Braden Pears responded with a power play goal for the Badgers to cut the deficit to one, and Ayden MacDonald tied the game with just 30 seconds left in the period to cap off an eventful first. “No matter the situation I think we are always confident in each other,” said Cook. The game evened out in the second, with StFX just edging out Brock in shots, 11-9. Clarke notched his second point and regained the lead for the X-Men with five minutes left in the period. Dunnick scored early in the third, on the powerplay, to put the X-Men back up by two. Cook followed with his second goal to put the game out of reach for the Badgers, and Kontos made it 6-2 in the dying seconds, scoring on an empty net. “It’s a journey to get here, and an experience when you’re here, and you need to learn from everything and we gave our effort, so that’s why I’m proud of these guys,” said Brock head coach Marty Williamson. StFX outshot Brock 38-25 in the game. 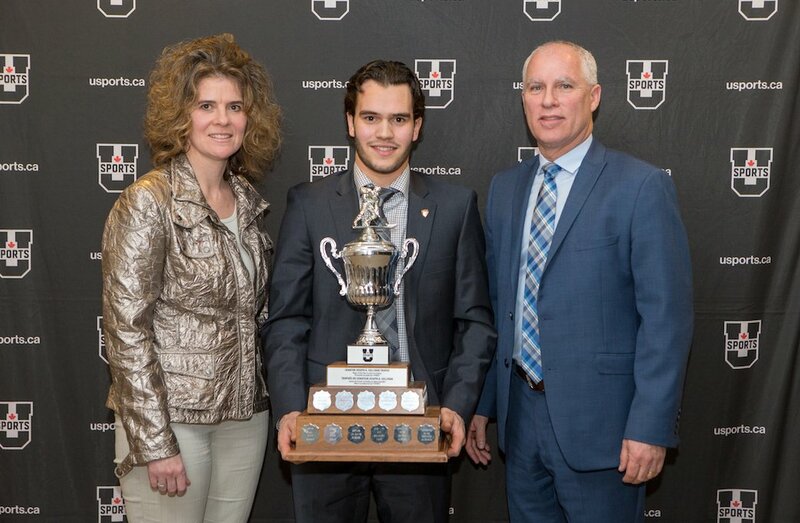 “We have a lot of old guys on our team…for me, being a first year, it gave me motivation to play for these guys beside me, and I think now that we have been here I’m personally going to carry this into my future career at Brock,” said MacDonald. You’re only going to go as far as your veterans are going to take you. Chase Marchand made 23 saves to get the win for the X-Men. Clint Windsor had 32 saves in a losing effort for the Badgers. Skylar Pacheco, Chris Maniccia and Matt MacLeod tallied assists for the Badgers, while Mark Tremaine and Bryson Cianfrone picked up helpers for the X-Men. StFX went 1-5 on the powerplay while Brock went 1-3. Brock is the first team to be eliminated from the tournament and will graduate a total of 10 players from their program this year. StFX now moves on to the University Cup semifinals and will face the winner of UNB and Concordia in the first semifinal game at 11 :00 a.m. ET / 8 a.m. PT on Saturday.